Do any of you watch the chef Gordon Ramsey? He’s a well-known British chef with a serious temper. It’s been well displayed on many of his shows. At times, he just begins to bang his head on the counter at the incompetence of some of his chefs. That’s how I felt when I read this sentence in a manuscript. Perhaps, I shouldn’t be so harsh. This person doesn’t have a medical background and perhaps it isn’t common knowledge that there is a big difference between arteries and veins. 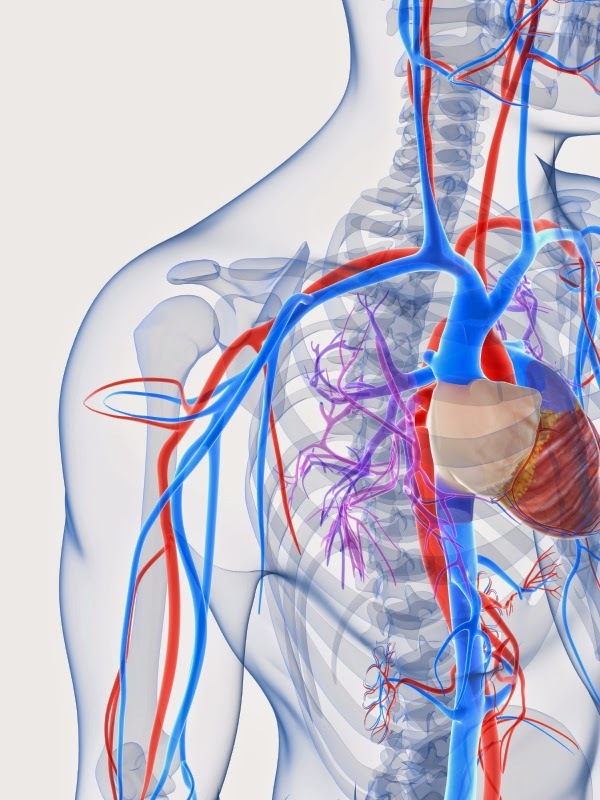 Arteries carry blood away from your heart where it has just been oxygenated by your lungs. In order to carry the blood forward, the heart beats to propel it. Therefore, when an artery is severed, the blood spurts out with each heart beat in a fairly dramatic fashion. There is no question from the medical staff– “Do you think he got an artery?” It more like, “We’ve got a bleeder!” The blood is a brighter red because it is loaded with oxygen. Only arteries throb. That’s how we feel your pulse– at an artery. Veins carry blood to your heart to get reoxygenated. They don’t pulsate. The blood is darker in color and tends to ooze though if enough veins are severed– the bleeding can be quite brisk. And remember, all bleeding can lead to death if not controlled– whether is be venous or arterial.